BOPCO oil collection platform in Cox Bay, LA. 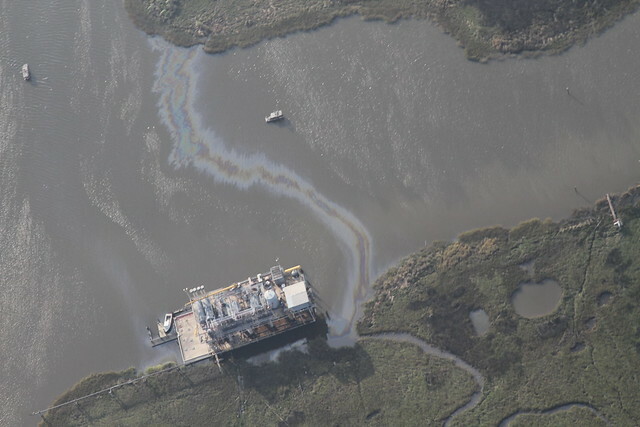 States and the federal government rely on the oil and gas industry to self-report when they suffer a spill or release pollution into the water. Sadly, far too many companies frequently do not follow the law and every year thousands of spills and incidents go unreported and unaddressed. Since April of 2010, GRN has begun monitoring the Gulf by plane and boat, taking hundreds of trips and reporting close to 200 illegal discharges. Our Gulf Monitoring program investigates pollution and ecosystem damage caused by the oil and gas industry in the Gulf Coast region. Through our monitoring we have discovered coal and petroleum coke spilling into water from export facilities; ruptured oil and gas pipelines; leaking oil platforms and well-heads; BP's ongoing impacts on Gulf coast beaches and wetlands; and damage to wetlands inflicted by pipelines. We use aerial photography combined with on-the-water observation to collect information, report incidents to the proper authorities, and analyze and publish our findings to educate the public to the continuing impact of industry on the Gulf. GRN’s goal is to ensure that the oil and gas industry follows the law and is held accountable when they do not. The information we gather is also used to support advocacy for increased regulation of the industry and as evidence in litigation aimed at addressing continuing pollution and wetlands loss associated with the coal and oil and gas industries. 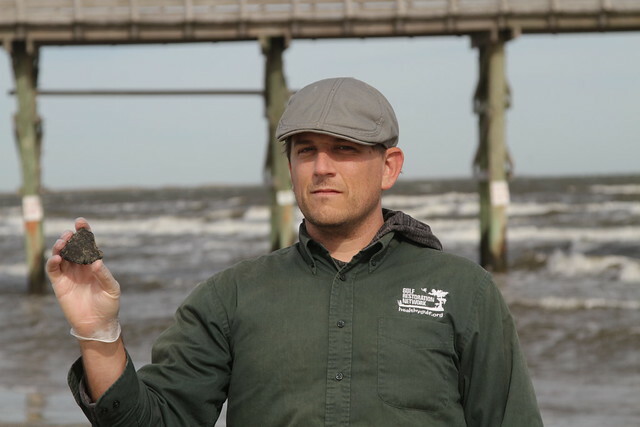 Gulf Restoration Network monitors sites across the Gulf of Mexico to document, report and hold oil & gas companies accountable for leaks, spills, accidents and other noncompliance issues. Below, you'll find a map of all of the spill activity we have reported and a chronological log of spill reports dating back to January 2017. Click here to see our reports.